This is the brand new Dynacorn 1970, 1971, 1972 A body skeleton that you've been hearing about! This A body shell is complete from the roof braces to the wheel house assemblies. 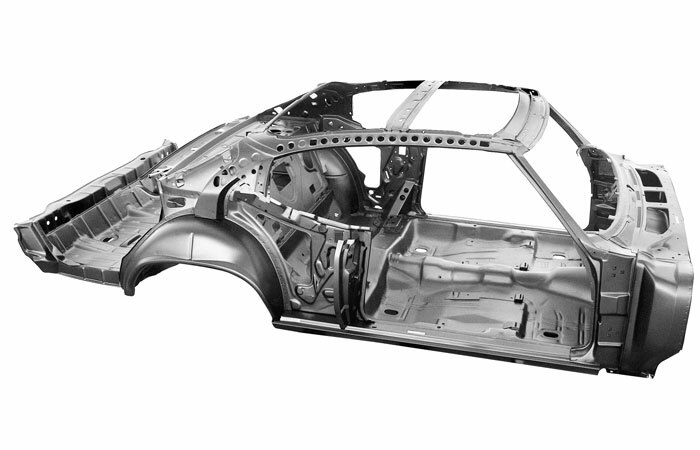 The A body skeleton is constructed of 1006 auto-grade steel. This A body skeleton assembly includes a firewall, full floor pan with bucket seat brackets, complete wheel houses, and a complete trunk pan as well as all of the internal bracing. Add your front clip, roof panel, doors, quarters, trunk lid, and rear window to trunk panel and you've got a complete NEW body!